The SUNY New Paltz Educational Opportunity Program (EOP) held its fourth Bi-Annual Conference on April 30, featuring workshops and lectures given by guests drawn from the ranks of the EOP student and alumni network. 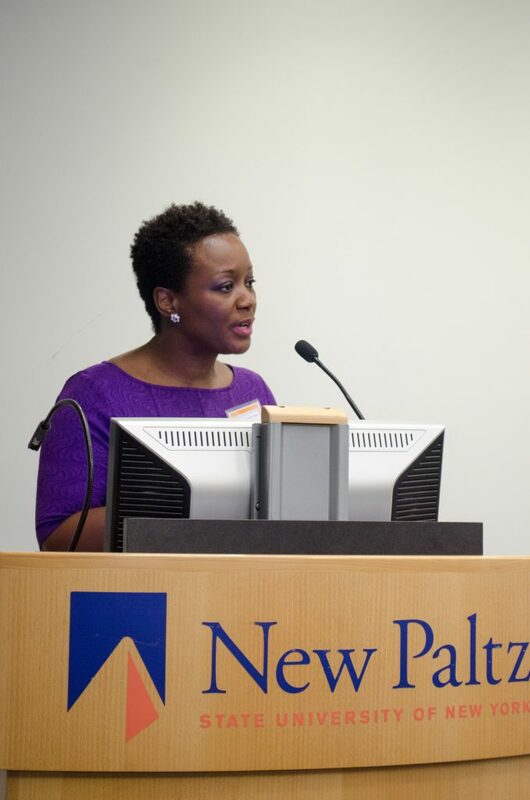 The theme for this year’s conference, “Strong Foundation, Strong Future,” emphasized the success of New Paltz EOP in preparing students from underrepresented and underprivileged demographics to thrive as scholars, professionals and community leaders. 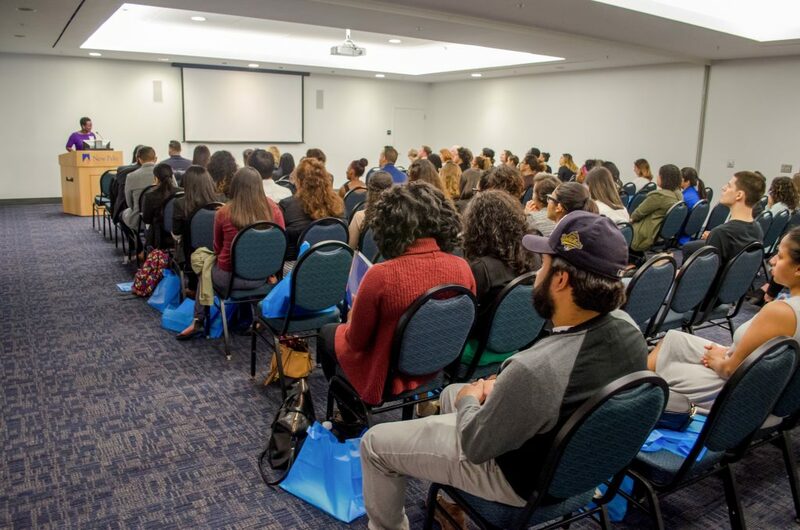 The conference focused on providing valuable educational opportunities and connecting student and alumni members of the EOP family. It also gave an occasion for the program’s constituents to celebrate the recent news that SUNY will devote recurring funding to expand New Paltz’s EOP by 100 students and one advisor over the next four years. A number of distinguished alumni returned to campus to speak at the conference, including Keynote Speaker Janet Davis ’96 (Communication Media), Cheyenne Vancooten ’07 (Sociology), Diones Adorno ’12 (Sociology), Anthony Winn ’92 (Business Administration), Milton ’11 (Television Production) and Idelsi Olivero ’11 (Finance / Journalism) and Luz Avila Kyncl ’96 (Psychology), on campus with her husband, the spring 2016 Distinguished Speaker Robert Kyncl ’95 (International Relations). Two student-run workshops rounded out the EOP Conference program. The conference was made possible thanks in large part to the efforts of EOP Advisor and Conference Coordinator Jessica Purcell. Founded in 1967, the Educational Opportunity Program provides academic and financial support to New York State residents with a high school diploma or its equivalent, and who do not meet general admission criteria, but have the academic potential to earn a college degree. The program serves students from a variety of circumstances that may present barriers to academic success. More information about EOP at SUNY New Paltz is available online.